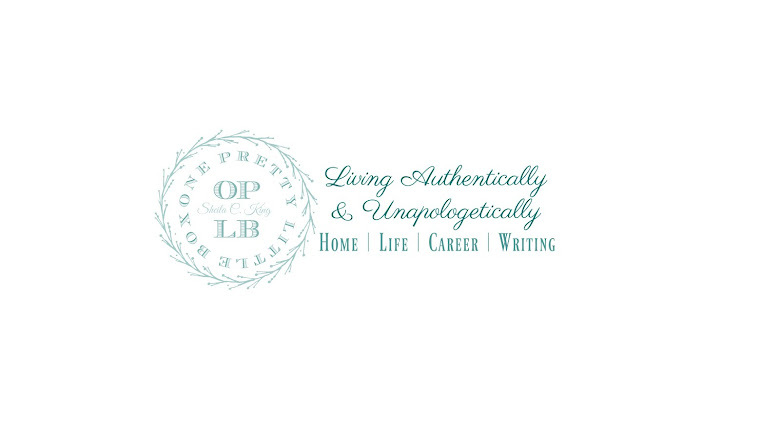 One Pretty Little Box: Tuesday's Girl Talk: Being Content Where You Are NOW! Tuesday's Girl Talk: Being Content Where You Are NOW! Okay girlies.... let's talk! I am coming to love Tuesdays because well, it is nice to sit here and chat with you on things that are close to our hearts as women. One of those for me lately is being content right where I am in my life,with what I already have. As each week passes, I realize how important it is to be content where we are in order to be able to move forward and enjoy life as we go. I am honored to say I am thirty eight. What a world of difference from when I was 30, even 35. I have grown in wisdom, which has given me great clarity on what matters most. As I have grown, it is hard for me sometimes to remember where I once was, and often times it is easy to forget where you once wanted to go. My home is just that. Home. Is it elaborate? Not at all ~ but it is my safe haven without a mortgage payment to boot! The house we live in has a lot of family history in it. My husband was born and raised in this house. (Well. he was born in a hospital but you know what I mean.) I am content! Yes, I have projects to spruce it up here and there, but it is still our home! I don't wear fancy clothes, but I love what I wear. I used to lust after and be greedy for all the latest trends ~ that neither flattered my body nor looked tasteful. I went into debt early on out of greed for more. More clothes, more shoes, more stuff. None of it made me happy. Sure, the buyers high was great... but it didn't last. It simply made me want to do it over and over and over. Why? I was searching for this thing .. this feeling, this thing that I knew was there, yet I had no idea how and where to look for it ~ so I just filled the void with stuff. What I was longing for .. was contentment. It is only by the Grace of God that I can truly say I am content where I am. Sure, I may have struggles from time to time, and every day holds enough in it's own to not worry about tomorrow ~ but... through it all, I am content. I know that God is truly God Almighty, and there is nothing I could do to change that. I do NOT know better then He about anything, including my life. It wasn't until I realized I needed to start counting my blessings to really know how blessed I am. One Thousand Gifts is something that I will be sharing with a few precious people in my life for Christmas, because it is a life changing book. Counting your blessings is the BEST way to find your contentment! If you are feeling discontent with where you are in life, then please understand that until you become content with who and where you are right this very minute, you will continue to be on an endless search for that "something" you have been looking for. Thanks for stopping by this Tuesday! Our girl talk session was fun!